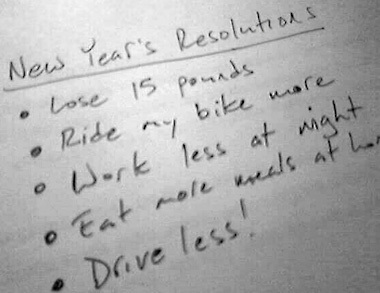 With the New Year upon us, many people will be making New Years Resolutions. While this is neither commanded to do nor commanded not to do in Scripture, the principle is a sound one. We, with the help of the Holy Spirit can resolve to do things different this year in 2015. In light of that, I want to include Jonathan Edwards resolutions he wrote while he was 18 and 19 in the years 1722 and 1723. They are an excellent example on how to approach the new year with a desire for holiness and doing all to the glory of God! 40. Resolved, to inquire every night, before I go to bed, whether I have acted in the best way I possibly could, with respect to eating and drinking.Jan. 7, 1723. 43. Resolved, never henceforward, till I die, to act as if I were any way my own, but entirely and altogether God’s, agreeable to what is to be found inSaturday, January 12. Jan.12, 1723. 47. Resolved, to endeavor to my utmost to deny whatever is not most agreeable to a good, and universally sweet and benevolent, quiet, peaceable, contented, easy, compassionate, generous, humble, meek, modest, submissive, obliging, diligent and industrious, charitable, even, patient, moderate, forgiving, sincere temper; and to do at all times what such a temper would lead me to. Examine strictly every week, whether I have done so. Sabbath morning. May 5,1723. 54. Whenever I hear anything spoken in conversation of any person, if I think it would be praiseworthy in me, Resolved to endeavor to imitate it.July 8, 1723. 59. Resolved, when I am most conscious of provocations to ill nature and anger, that I will strive most to feel and act good-naturedly; yea, at such times, to manifest good nature, though I think that in other respects it would be disadvantageous, and so as would be imprudent at other times.May 12, July ii, and July 13. 60. Resolved, whenever my feelings begin to appear in the least out of order, when I am conscious of the least uneasiness within, or the least irregularity without, I will then subject myself to the strictest examination.July 4, and 13, 1723. 63. On the supposition, that there never was to be but one individual in the world, at any one time, who was properly a complete Christian, in all respects of a right stamp, having Christianity always shining in its true luster, and appearing excellent and lovely, from whatever part and under whatever character viewed: Resolved, to act just as I would do, if I strove with all my might to be that one, who should live in my time. Jan.14′ and July ‘3’ 1723. For more on Edwards and his resolutions be sure to check out Steven Lawson’s excellent book, The Unwavering Resolve of Jonathan Edwards. It seems that there is a never-ending barrage of ethical questions coming at pastors, health care workers, and families. Some may wonder where to turn for answers for some of the most difficult ethical issues. C. Ben Mitchell and D. Joy Riley, an ethicist/professor and an ethicist/doctor help Christians to understand how to make life and death decisions in an effective way in Christian Bioethics (B&H). The questions that surrounded us even 50 years ago, are different and more complicated than those we face today. Having an up-to-date help in addressing these issues, in what looks like an excellent series (B&H Studies in Christian Ethics), these two authors serve as able guides. The authors begin by addressing issues of Christian bioethics in a general way. Particularly helpful is their second chapter where they show the necessity of understanding the Bible as our foundational guide for ethical decisions and show how it speaks to issues of today. Part 2, looks at issues of death, particularly abortion and human dignity and dying. Both are hot-button topics in our 24 hour news cycle and important for Christians to have solid answers on. Part 3 looks at issues of life, with regards to infertility and reproductive technology, organ donation and transplantation, and cloning and human-animal hybrids. Some of the issues hit close to home for many people, including Christians, and it is important for us to understand these issues. Part 4 considers issues of remaking life, including issues of aging and life-extension and how to preserve our humanity in the midst of our ever-growing biotech world. How we should treat our elderly, and what fundamentally it means to be human are important questions for all of us. The book is not completely comprehensive, and there are areas of discussion that could be explored further. There are broader topic books on Christian ethics (not just bioethics) that would be helpful supplements on this volume. Mitchell and Riley helpfully offer resources on all of these issues for further reading. The style (where each author is represented in each chapter) could come off a little disjointed to developing a coherent whole thought on each issue, but it is helpful to see both author’s perspectives. Yet, when it comes to some of these profound issues facing both Christians and non-Christians alike, Mitchell and Riley helpfully address them from a biblical standpoint. Not every reader will agree with everything here, but they will have to work through Mitchell and Riley’s understanding of both Scripture and the times we live in. 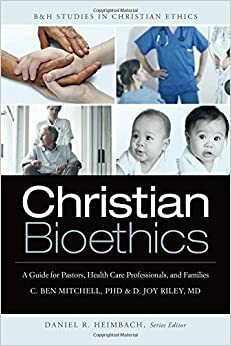 When it comes to anyone dealing with these bioethic issues today (which frankly is most likely all of us), I would consider Mitchell and Riley’s Christian Bioethics to be a helpful guide in the great morass of issues facing us. They provide a compassionate and caring understanding that issues we are going through, or people we know are going through. Everyone loves to celebrate a party. Weddings are much more fun than funerals. Getting a new job is much more exciting than getting laid off. We in the church are certainly no different. Our tendency is to spend time enjoying the positives rather than celebrating anything negative. When it comes to “Christian” holidays, the clear winner for our attention and affection is Christmas. Even if we ignore the fact that Santa brings presents and the Easter Bunny only chocolate, who would not rather enjoy the birth of a child rather than the public execution of a state criminal? At Christmas, banners fly on Christian homes that read “Jesus is the Reason for the Season.” They love signing Christmas carols, exchanging presents, and even in the case of our church, collecting money to give Christmas gifts to our missionaries that we support. But when it comes to Easter, we can hardly get people to consider coming together to reflect and even sing about the death of our Master. Easter takes second fiddle to Christmas when it comes to holidays to celebrate in the Church. Even when taking into consideration the resurrection as part of Easter, Christmas still becomes the event that dominates our holiday considerations. Yet, it is not the crèche but the cross that is the pivotal point in the Christian calendar. Christmas simply serves as a servant to Easter. When the Christian rightly understands what the purpose of Christmas was, they will understand that Christmas should not be the main holiday focus of the church, but that Easter should dominate our attention. For Christ was not born simply to be born, but to go to a cross. Jesus was, as the saying goes, “born to die” I would articulate here then, that as individual Christians and as the church we should realize that Christmas should be a time when we reflect on the reason why Jesus came, namely to die a substitutionary death for sinners to be redeemed, and rose again to provide eternal life for the same. Christ did not stay in the manger, He went to His death for sinners. Christmas exists so that Easter could! Christmas is obviously not about the grand advertising and merchandising brouhaha that it has become. As Lucy Van Pelt says in “A Charlie Brown Christmas,” “Look, Charlie, let’s face it. We all know that Christmas is a big commercial racket. It’s run by a big eastern syndicate, you know.” That may be what Christmas is today, but the obvious purpose for Christmas was for the Incarnation to happen. But, all too often once Christmas rolls around, we get stuck in the manger scene with the wonderful truth of the child born and attended to by shepherds and angels alike. It is a warm, caring scene that even the most anti-religious can tolerate to a certain extent. Still in towns do you even see community manager scenes, they play Christian music on the radio at Christmas, and people still wish each other Merry Christmas, much to the chagrin of the ACLU. Yet, what was the purpose for God being born a man? It was far more profound that simply being born. As B. B. Warfield rightly notes, “Eliminate sin as the proximate occasion and redemption as the prime end of the Incarnation, and none of the other relations in which it stands, and none of the other effects which flow from it, will be fulfilled, at least in the measure of their rights.” What Warfield is saying is that without thinking that the prime end of the Incarnation is the death and resurrection of Christ means that no other benefits from it can come to pass. The essential purpose of the Incarnation was not for a child to remain in the manger but for that child to become a man, to live, and die to redeem sinners for God. So, if the purpose of the Incarnation was the Cross, what was the purpose of the cross? That is not more explicitly described than in Isaiah 53. While the whole passage speaks to the nature of the reason for the suffering of Jesus, vv. 10–12 will do to demonstrate the reason for the cross. The purpose of Jesus death on the cross was to bear the sins of those who would be redeemed. He bore our iniquities so that we might be saved. He took our place and was condemned instead of us. The reason Jesus died was so that we might live. This is the most profound truth that we can ever understand. The crux (from where the word “cross” comes from) of the Christian faith is the cross. God created man and when man fell it was the purpose of God to restore fellowship between God and man. With an infinite debt to be paid against an infinite God, the only way finite man could pay it could either be through an eternity in Hell or if an infinite person took our place. That was the reason Christ became man, so that the infinite could take the place of the finite. The reason we have life, and life abundantly, is that Christ in his death paid our penalty against an infinite God. The purpose of Easter was to redeem sinners. The purpose of Christmas was so that Easter could happen. Easter happened so that men could be saved from eternal torment and punishment in Hell! I remember preaching on an unusual passage one Christmas: Revelation 5. Revelation 5 is the second part of the major climax of the throne room scene in the book of Revelation. Here John weeps because no one is found worthy to open the scroll that will bring about the justice of God upon all unrighteousness. Yet, in the midst of the elders one is found who is worthy to take the scroll and open it and enact the judgments to come. This passage becomes one of the most profound expressions of the purpose for the Incarnation. Here we see that the reason Christ was worthy to enact the judgments to come and bring about the fruition of God’s plans for the universe was because He was slain and He redeemed people for God from among the mass of humanity. He was worthy because He died and rose again. The only way Christ could do that was by becoming man through the Incarnation. The Incarnation occurred because the cross had to occur. It is ultimately not the crèche but the cross that is the center of our faith. This Christmas, as we live in both the shadow of the crèche and the cross, we need to remember to not leave Christ in the crèche. The reason Christ came was so He could die for sinners. The question you need to ask yourself this Christmas is whether the peace that was promised at the arrival of Jesus as man is available to you, or whether you are still under the judgment of God? The redeeming work of Christ on the cross is still available to you and if you repent of your sins and turn and embrace Jesus Christ alone as your Saviour you will have eternal life. Jesus Christ came to redeem you from death and destruction through His death and resurrection. This Christmas, have an eye toward Easter and belief in Him. If you are in Christ Jesus then consider which holiday should have most of your emphasis. Should Christmas, the servant of Easter occupy your entire focus or should it serve as a bridge to talk about the reason why Jesus Christ came? Christmas is a perfect opportunity to share the Gospel because people are open to celebrating the Christ-child. Use it to direct them to the real purpose for Christmas: the cross. Share with them the hope and peace they can have, not in the Incarnation in and of itself but in the reason He came, to purchase men for God through His death and resurrection. While we might say Jesus is the reason for the season, Jesus is the reason for every season. And at this Christmas season, do not leave Jesus in the crèche. Remember He came to die for sinners. The purpose for Christmas was Easter. B. B. Warfield, Selected Shorter Writings of Benjamin B. Warfield, ed. John E. Meeter, 2 vol. (Nutley, NJ: Presbyterian and Reformed Publishing Company, 1970), I:143. Rod Decker (1952-2014) was Greek and New Testament Professor at Baptist Bible Seminary, Clarks Summit, PA for many years before his untimely death. In that time, he developed an integrated text and work book for first year Greek students called Reading Koine Greek. When I was asked to teach Greek to the undergraduate students at Baptist Bible College, I planned to use Mounce like I had been taught. But Dr. Decker met with me to encourage me to consider using his pre-published Greek text. He gave me a copy to review, and after working through much of the text, I found it a superior version for teaching. Here are my thoughts on why you should consider Decker for first year Greek instruction. 1) He introduces the verbal system earlier. I was always frustrated with Mounce’s “natural” approach to the verbal system where you learned it later. I found it difficult to make head way in studying Greek with the verbal system put so far behind. Decker, in contrast introduces the verbal system in its basic form in chapter 5. Then in earnest he works through elements of the verbal system starting in chapter 13. This gives the student a better understanding of the Greek language, including the verbal system, at an earlier date than Mounce and others. 2) It’s thoroughly updated with the most up-to-date linguistic elements. Older entries either did not include detailed discussions of verbal aspect, or were written prior to the seminal Porter-Fanning entries. While you may disagree with Decker as he generally takes Porter’s approach, you will see how he carefully integrates elements of, what may be considered advanced Greek, into first year where it is appropriate. The book is thorough and detailed on a number of issues like aspect, which makes it even an ideal text to be used alone, or in a class. 3) The combined workbook is helpful in itself because it makes it less cumbersome to carry around a separate workbook. I had my students live, breathe, and eat Decker, and utilize their UBS 4th, and Danker’s The Concise Greek-English Lexicon of the New Testament. Adding a separate workbook would have been unnecessary. 4) This is a grammar for Koine Greek, not just New Testament Greek. Decker helpfully includes translation work from the LXX and the church fathers. How many of your Greek students have large portions of 2 Chronicles or 1 Enoch or 1 Clement memorized already? This is where we separate the men from the boys, as my Greek teacher used to say. While Decker doesn’t have all the fancy videos like Mounce does, there are helpful teaching elements available to be used in conjunction with Reading Koine Greek. In addition, helpful appendixes on the vocative, various charts, and such, make the book an excellent reference tool as well. 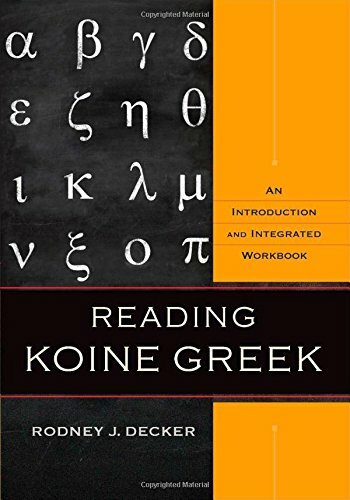 Certainly the length of book, and the details at times, might make you shy away from it as a good entry level Greek text, but I assure you, Reading Koine Greek is an excellent pedagogical tool for teaching first year Greek. I heartily recommend it for teachers and those who simply want to learn to read the NT in Greek. What’s the Big Deal About Complaining? Anything that has been featured on Oprah, I find very suspicious. The modern new age guru often features items and books on her show that skyrocket in popularity after being featured, but generally have much to be desired. What caught my attention was the so-called “complaint-free world” bracelet. Pastor Will Bowen was featured on Oprah regarding this 21-day challenge for a complaint-free world. He gave out purple bracelets to his congregation and when they complained they were to switch the bracelet to their other hand and start the 21-day challenge all over again. Is this how easy it is to eliminate complaining from one’s life; with a simple bracelet? What is the big deal with complaining after all? Complaining is the act of expressing feelings of pain, dissatisfaction, or resentment. Complaining is a negative action done by people who cannot understand how or why God operates. Complaining ultimately denies the sovereignty of God, disrupts the life of the body of Christ, and devastates the life of the believer. Ultimately all events throughout history, all movements of every atom of matter, absolutely everything is under the complete and sovereign control of God. What does this have to do with complaining? When we complain we seek to express our dissatisfaction with God and where He has placed us. Complaining is ultimately the act of saying, “God, I know you are sovereign and this event that you have placed me in is of your own design, but I can do better. In fact, God, you were wrong to put me in the situation you have.” This is the general effect of complaining. It practically denies the sovereignty of God. God is completely sovereign and every event that God brings into your life is of His hand and for His glory. While the event, in itself, may not be good, as a Christian, one must be content and learn to accept God’s plan for your life.This is no better illustrated than in the book of Habakkuk. Habakkuk expressed his frustration about the sin and wickedness around him and wondered when God would act (1:1–4). God answers Habakkuk by telling him that He will judge the wickedness of Israel but will use a nation even more wicked to do so: the Babylonians (1:5–11). Habakkuk questions God’s usage of a wicked nation to do this and practically expresses that God could not possibly do that in this situation (1:12–2:1). God responds by reminding Habakkuk that even the wicked nation of Babylon will be punished in the end. God’s plans are never frustrated (2:2–20). God describes the coming of His judgment to Habakkuk which would disturb us all (3:2–16), yet Habakkuk responds in faith. Knowing that the situation is difficult and grim, Habakkuk still acknowledges the sovereignty of God and will not complain about how God will sort this out. He concludes the book, “Though the fig tree should not blossom, nor fruit be on the vines, the produce of the olive fail and the fields yield no food, the flock be cut off from the fold and there be no herd in the stalls, yet I will rejoice in the Lord; I will take joy in the God of my salvation. God, the Lord, is my strength; he makes my feet like the deer’s; he makes me tread on my high places” (3:17–19). We must respond like Habakkuk and rejoice in the Lord in all circumstances. Our complaining, though, does not just affect our view of God but it affects the body of Christ as well. Ephesians 4:29 reads, “Let no corrupting talk come out of your mouths, but only such as is good for building up, as fits the occasion, that it may give grace to those who hear.” We have learned that complaining is negative since it denies the sovereignty of God. Therefore, complaining is corrupting talk. This corrupting talk is that which brings down people instead of building them up. Paul reminds the Ephesian believers that,in contrast to allowing corrupting talk to come from their mouths and bring down believers, they are to allow only good things which bring grace and build up people out of their mouths. We all know how a complainer brings people down.Someone who constantly complains about his situation in life is one that brings us down too. We begin to sense the same problems in our own lives and become complainers too. Complaining is contagious. And as people who are not to allow corrupting talk to come out of our mouths for the sake of those around us, we must be very careful with what we say. Complaining has the potential to seriously disrupt the life of the body of Christ. In contrast, someone who does not complain but instead speaks words that build up, brings grace to the body of Christ. On an individual level, complaining devastates the life of the believer. Our behavior, over time, becomes habit. And eventually it destroys any real joy we can have in Christ. This one act of disobedience can lead to other acts as well. If you complain too much you can become so focused on the negative that you miss out on all the good things God does around you. Psalm 106:25 reads, “They murmured in their tents, and did not obey the voice of the Lord.” The Israelites murmured and complained about being led out of Egypt and into the desert. And this led to a failure for them to obey the further commands of the Lord. And God punished them for it. God’s patience ultimately is tested by the complaints of people. 1 Corinthians 10:10 reminds us not to “… grumble, as some of them did and were destroyed by the Destroyer.” Complaining is a sin that does not please God. Since God is sovereign and He ordains all events to occur in life including the ones you are facing in your life today, complaining tests His patience. If all things are done to His glory and ultimately your good then why have you got to complain? Instead, you should be joyful in the Lord. Complaining tests God’s patience and we know that God punished those who tested His patience. Complaining practically denies the sovereignty of God, disrupts the life of the body of Christ, and ultimately devastates the life of the believer. It does not honour God, it hurts friends, families, and churches, and it hurts us. It can lead us into further disobedience and ultimately it can lead us into punishment from God. How do we stop complaining? A bracelet will not help. Only the transforming work of God in your life will help. If you have never turned to Christ in faith, do so now. The Holy Spirit dwells in the believer in Christ and helps him pursue a life of godliness and joy. But, it is not just the Spirit working in you; it is a joint process where you are involved. Actively seek to eliminate complaining from your life. Pray for help in this regard. Study the Scriptures to see God’s gracious and good acts in the past and reflect on His kindness to you in your life. Seek to speak only profitable things and when you sense a complaint coming out of your mouth, your best advice is simply to shut your mouth! Then, think, and speak things that build people up. God will aid you in your effort to eliminate complaining from your life. It will be ultimately better for you, better for your church, and better for the exaltation of God! A bad combination of a vacuous theology and historical anemia has lead much of our Protestant, Western Christianity to forget all of the various holidays to celebrate at this time of year. I don’t mean many of the non-Christian holidays that happen this month, but many of the Christian ones that most of us neglect. It’s because of an over-reaction to Roman Catholic saint veneration that we’ve forgotten to even consider those who have gone before us and what we can learn from them and how to celebrate them. Saint Nicholas Day – December 6 – Saint Nicholas, Bishop of Myra (270-343). The historical “Santa Claus” was a staunch orthodox Christian minister who was at the Council of Nicea and signed the orthodox Nicean creed and, as tradition tells us, in a lack of patience with the heretic Arius, slapped him. That’s my kind of Santa Claus. Stories surrounding Nicholas’ care of sailors and children and young women, are things that we need to strongly see as blessed elements of a loving gracious character, that developed into our over-commercial Santa. Frankly, the true historical saint is a far better person to celebrate this time of year. Saint Lucia Day – December 13 – Saint Lucy (283-310). A saint celebrated in many nordic countries, who was a martyr for her Christian convictions. It is said that they could not lead her away and that they built a fire around her but she wouldn’t die until she received final unction. She persevered in the midst of her martyrdom continuing to speak with authority about how her death would remove fear from other believers. The girls that participate in St. Lucia’s Day traditions wear a wreath of candles to allow her hands to be free in honor of her using both hands to bring items to the believers in the catacombs. A worthy person to emulate. The Feast of Saint Stephen – December 26. We’re well aware of the story of Stephen and his tremendous speech in Acts 7. Here is a man of devout Christian character who in the face of insurmountable odds, and the threat of death, preached Christ. His martyrdom should remind us the fate that could be for all men of God, but it also reminds us of the reward (to see Jesus at the right hand of God) for those who persevere. Certainly a saint to emulate. May I recommend that while you celebrate Christmas, and the birth of our Lord and Savior, you remember those men and women who followed Christ, who we too should follow. What wonderful stories to tell your children and grandchildren, and those who went before us who teach us what it means to be a Christian. So, don’t forget about all the other important Christian holidays this time of year, and throughout the year. You won’t be sorry as you enrich your understanding of what it means to be a Christian by studying the Christians of the past! I don’t think I’m really overly qualified to speak on the recent issues in Ferguson, MO, but I believe Voddie Baucham may be. On that note, I wanted to bring to you his recent post over at The Gospel Coalition. You are currently browsing the Working out Salvation with Fear and Trembling blog archives for December, 2014.